We're never short of PSUs here at HEXUS HQ, and it's been interesting to watch certain trends develop over the course of the past decade. First there was the race for higher 80 Plus ratings, then came the drive for massive capacities, and now smaller units with well-rounded feature sets are very much in favour. The increased efficiency of modern components has returned the spotlight to units in the 500-750W range, and even for an enthusiast build, a quality 600W unit should be plenty sufficient. Case in point, our high-end test platform features an overclocked Core i7-6700K processor and GeForce GTX 1080 graphics, yet draws less than 350W from the wall when running full chat. It's an area of the market in which there is a vast array of choice, so for this week's question let us ask: what capacity is the power supply in your main PC? Let us know using the comments facility below. I had a 750W Antec for years, but when I moved to a new PC I “downgraded” as I decided not to bother with crossfire or SLI again. 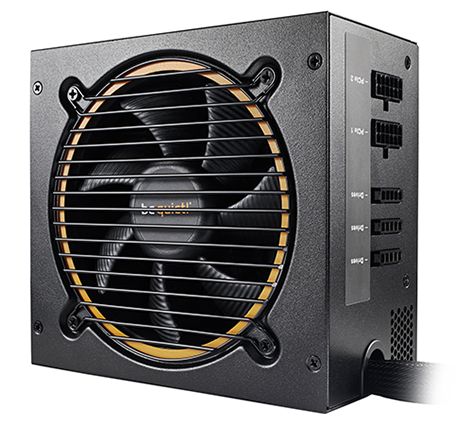 did have a 425w enermax pro 82+ but swapped with a friend due to the 350 not working in their system.